Bali engagement photos just looks romantic, beautiful and exotic. You two are the major attraction, but Bali plays its important role to make the photo looks more than beautiful and exotic. Bali has countless spots that you can use for engagement photo ideas before your marriage. So, where is some of the best Bali photoshoot location for engagement? We have listed several places in Bali you can choose. It used to be a small village where all people worked as fishermen. It takes only less than 15 minutes for Ngurah Rai Airport. 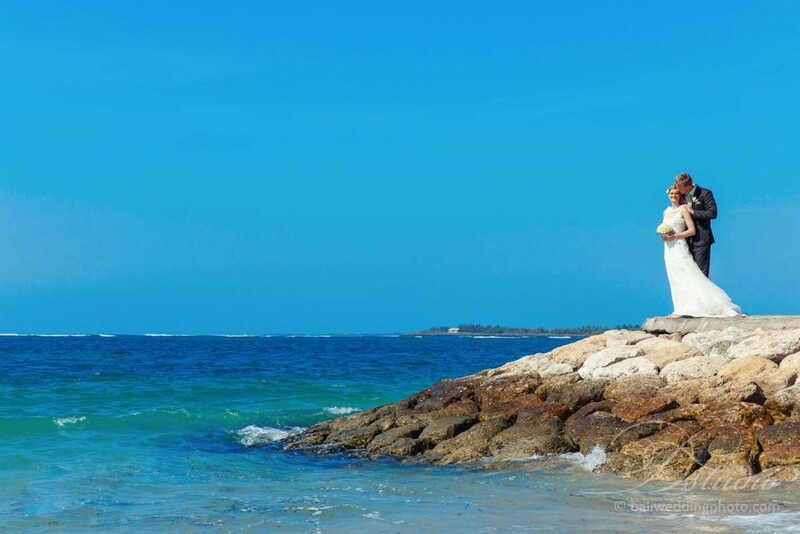 Due to its beauty of the beach, Jimbaran Beach is now getting popular for tourists and couples who want to have engagement photo taking. Its beauty is incomparable to other beaches in Bali. 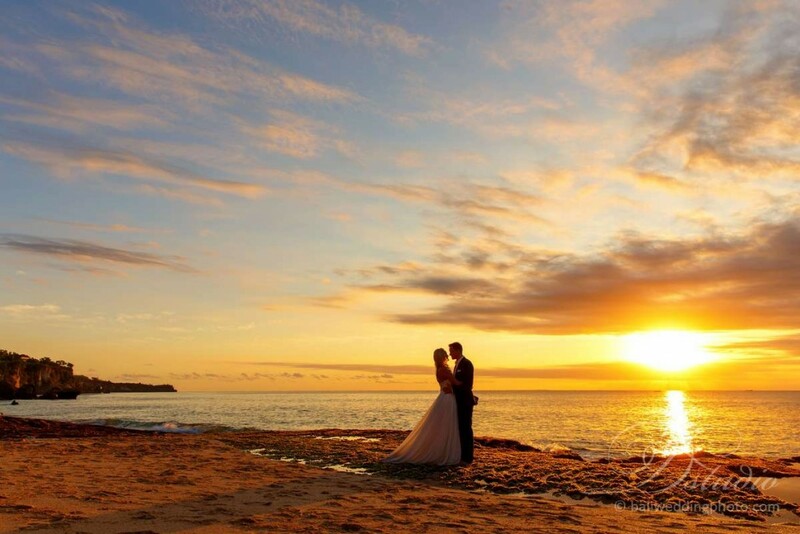 Your Bali engagement photos will have a background of white sandy beach with beautiful sunset. 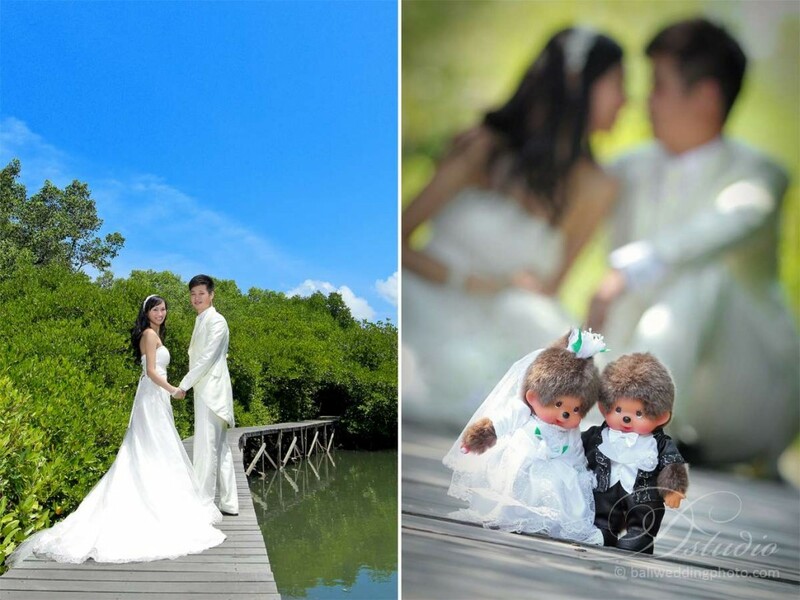 As one of the best tourist destinations in Bali, Bali Mangrove Forest also becomes a perfect place for engagement photo shoots. The forest has so fresh air, feeling like free of pollution (let’s keep it like that). Photo taking on the wooden bridge in the morning or afternoon will be just beautiful with abundant birds singing on the branches. This place also perfect for those who like casual style engagement photos. There is no more beautiful sunrise than Sanur Beach. For you couples, it will be a perfect place for engagement photo taking. Located in the east side of Bali, Sanur Beach is the opposite of Kuta Beach. That is the main reason for why the beach is well-known for its sunrise. It only takes around 30 minutes from Ngurah Rai Airport. You might have to get up in the early morning to have morning Bali engagement photo taking in Sanur Beach, but if you’re lazy to get up too early, after sunrise engagement photo session is also good, with clear blue sky and ocean view. In order to do photo taking for your engagement, you will need a photographer. Bali has a lot of local photographers specializing on engagement photos, so you just rely on these photographers. In addition to their experiences, they are professional as well. The photo results will be in equal quality. It means, you do not have to hire a photographer from your own country that likely costs you a lot more money. There are a lot of photography vendors. Each vendor has several packages. So, choose one package after reviewing them carefully depending on your budget. The photographer will take you to some places in Bali and one of them might be those places. You can also ask your photographer to take you to those places of Bali engagement photos.